I would like to inquire about your property Bayut - 744-Ap-R-0020. Please contact me at your earliest convenience. A well driven, dynamic and passionate individual from Pakistan. Waqas has an impressive career history in real estate with over 3 years experience. Waqas works specifically within the Al Nahda Dubai area using his unique capabilities to provide clients with a service theyll be delighted to recommend. He is extremely pro-active in securing his clients the right home at the best price. He Guaranteed to All Clients Honesty, Professionalism And Regular Feed Back. Having a large number of satisfied clients of different nationalities. His assigned locations are Al Nahda 1 & 2, Al Qusais, In Front Of Nahda Pond Park, In Front Of Stadium Station, In Front Of Al Nahda Metro Station Near N M C Hospital. But Working for all locations as per client requirements. He is dealing with all types of residential property for rent. ALWAYS FOR 100% SAFE REAL ESTATE TRANSACTION PLEASE CHECK ALL REAL ESTATE BROKERS DOCUMENTS FIRST AND AFTER THAT PROCEED THE TRANSACTION. MY SPECIALISED AREAS AL NAHDA 1,2 AL QUSAIS MUHAISNA OPP AL NAHDA METRO OPP STADIUM METRO OPP POND PARK NEAR N M C HOSPITAL. Established in December 2013, Blue Zone Property is a boutique estate agency, providing highly professional and personalized services to clients interested in buying, selling and renting residential real estate across Dubai however specialising in Dubai. The agency comprises of a small group of experienced estate agents and investment experts who understand the intricacies of one-on-one interaction and offer an unparalleled degree of personalized attention. With unrivaled knowledge of the citys most distinguished properties and sought after neighborhoods, Blue Zone Property's agents are highly regarded for their professionalism, discretion, and creative methods. 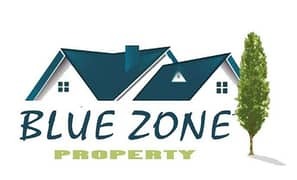 This is why Blue Zone Property stands out among hundreds of other residential real estate firms in Dubai, and is particularly renounced for its proficiency in the markets of Dubai Al Nahda , Al Qusais , JVC , Silicon Oasis.